The word “liberal” carries strong connotations in modern political discussions. About as many self-identify as being liberal in their political views as those who adamantly avoid such a label. However, the historical roots of liberalism have produced a rich and diverse system of philosophical branches. 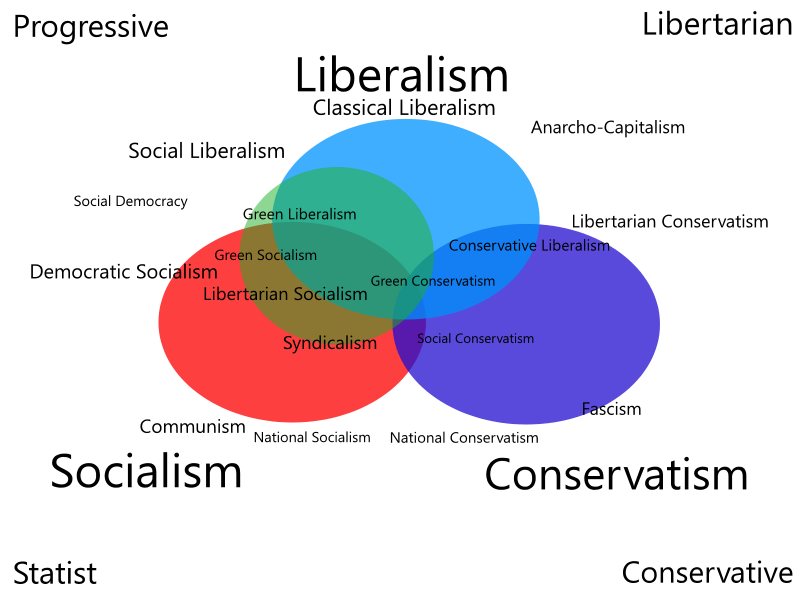 In fact, many of these branches of liberalism stand diametrically opposed to one another on many political and economic issues. The word “liberal” doesn’t adequately capture the dexterity around this philosophical concept. Liberalism was the product of Enlightenment thinking. John Locke is considered the godfather of liberal political thought, based on his prolific writing on the natural rights of individuals, separation of state and religion, social contract, and many other philosophical concepts – many of which were incorporated in the democratic revolutions that occurred decades after his death. What made liberalism unique was that it empowered the role of the individual and drastically challenged the absolutist foundation of the monarchies everywhere. However, in the late 19th and early 20th century, liberalism morphed from an individualistic philosophy to one that is more communal in nature. Borrowing from John Stuart Mill’s utilitarian concept of providing “the greatest happiness for the greatest number,” liberalism sought to defend the “common good” – namely a political and economic system that maximized social progress for the group as a whole, and not benefitting a certain portion of individuals. Franklin D. Roosevelt best embodied this value with the “New Deal” in the 1930s. This body of legislation produced a large scale government infrastructure – characterized by public works projects, social welfare safety nets, and financial institution reforms – with a purpose to mitigate the effects of the rampant individualism that is commonly associated with the 1929 stock market crash and subsequent Great Depression. Today, the modern interpretation of liberalism is associated with left wing causes. Borrowing from the New Deal, liberal economic thought strongly empowers public institutions as a means to support individuals who are adversely affected by the externalities – such as poverty and pollution – of free market capitalism. On issues of political rights, liberalism strives to secure civil liberties for minority groups, from the Civil Rights Movement for African-Americans in the 1960s to the current struggle for marriage equality for the LGBT community. Present day advocates of modern liberalism include individuals like consumer rights advocate Ralph Nader, current President of the United States Barack Obama, and Canadian Liberal Party leader Justin Trudeau. Allowing free individuals to trade in unfettered markets will produce the greatest amount of wealth and overall conditions for an affluent society in the eyes of neo-liberalism. Neo-liberalism – also referred to as “classical liberalism” since it borrows from 18th century philosophical principles – was primarily an economic school of thought in its original form. Neo-liberalism highlighted the importance of deregulating markets and privatizing public institutions. The transition of this philosophy from economics to a political movement has gained momentum in recent years with the rise in libertarianism in the United States, popularized by individuals like Rep. Ron Paul and Governor Gary Johnson. Although modern libertarians may be equated with what is considered “modern conservativism” (although those ideas are liberal on some economic policies, they strongly disagree with policies that relate the role of the state in the private lives of citizens – more specifically, the rights of citizens to marry freely, not be the subject of government surveillance, and freely purchase and produce banned substances like marijuana. The individual is the true arbiter of a free society in both economic and political terms in the eyes of neo-liberals, classical liberals, and libertarians alike. de. "Difference Between Liberalism and Neo-liberalism – Understanding liberalism: You might be more (or less) liberal than you think." DifferenceBetween.net. September 28, 2017 < http://www.differencebetween.net/miscellaneous/politics/ideology-politics/difference-between-liberalism-and-neo-liberalism-understanding-liberalism-you-might-be-more-or-less-liberal-than-you-think/ >. Just thought I’d try and let you know even though you probably won’t read this, whoever you are. Other than that I think you did a fine job with this article. After all, isn’t it already? Might as well sit back and watch. There was (*no typo) worth validating in this article- since this PC/SJW jab is precisely the type of trolling that prohibits the free sharing of thought and information making it thoroughly exhausting to speak ones’ mind. There’s always something new to learn under the sun! Can’t wait to dive into this information. thank you!